I remember when I was little taking my mum breakfast in bed for Mother's Day so why not try the same this Father's Day. 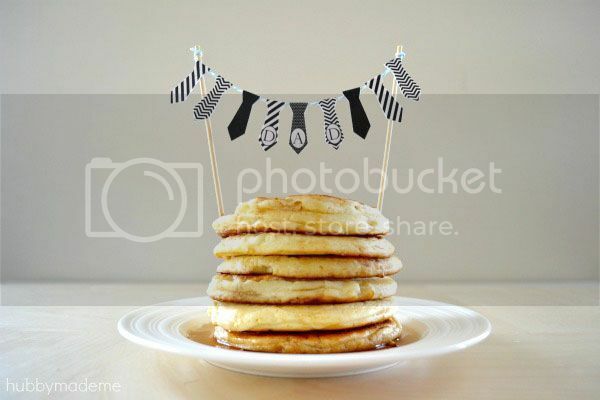 Whip up a batch of pancakes and decorate them with this cute little printable tie banner! I found this great little tutorial over at Hubby Made Me blog whilst searching through ideas on pintrest for great little projects for you all. 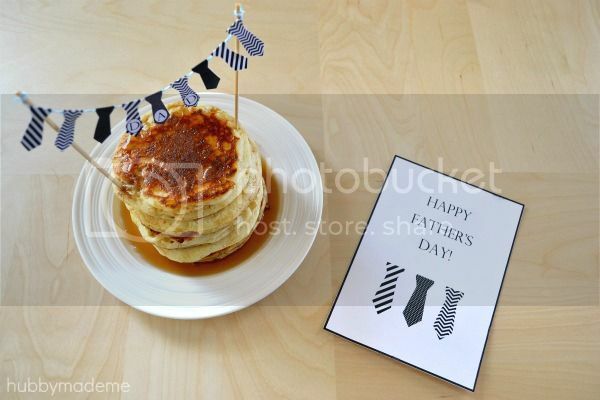 Brinti has created two great printables for you. 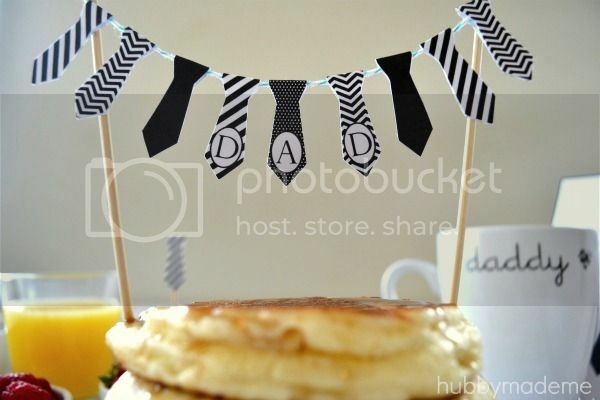 Below you can download this cute little 'Dad' bunting as well as a little matching Father's Day card. Use the download links below and save these printables to your computer and you can start crafting! 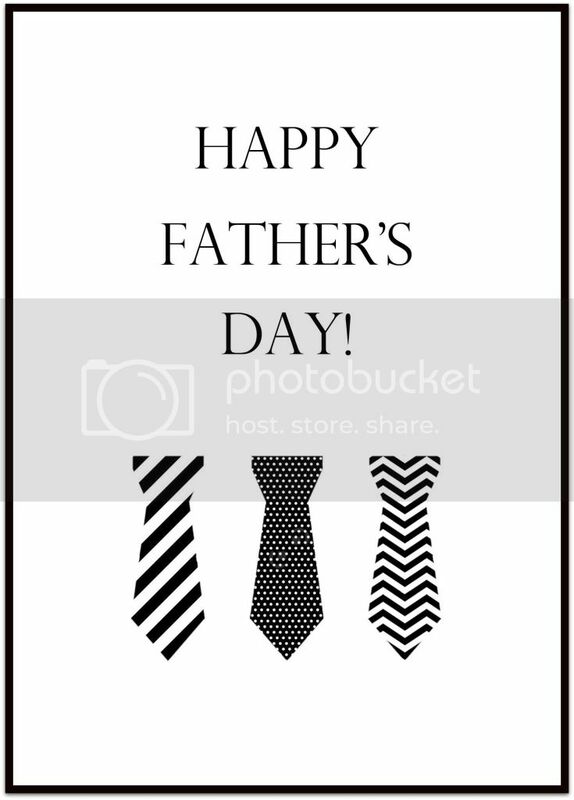 For the bunting, fold the double-sided ties in half. Place some baker’s twine in between a folded tie and glue the tie together. Repeat the last step until they’re all on your twine. 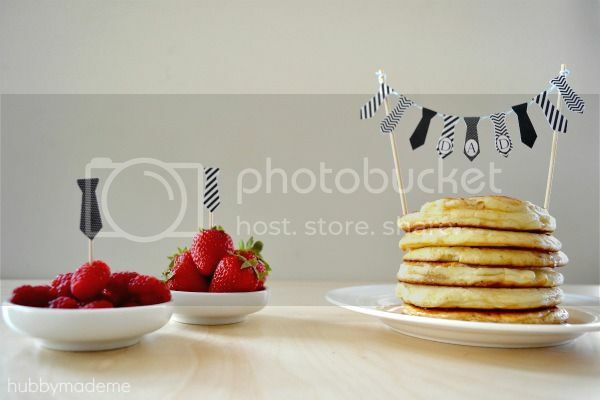 Then wrap the ends of your twine around a skewer or straw and insert into a huge stack of pancakes. 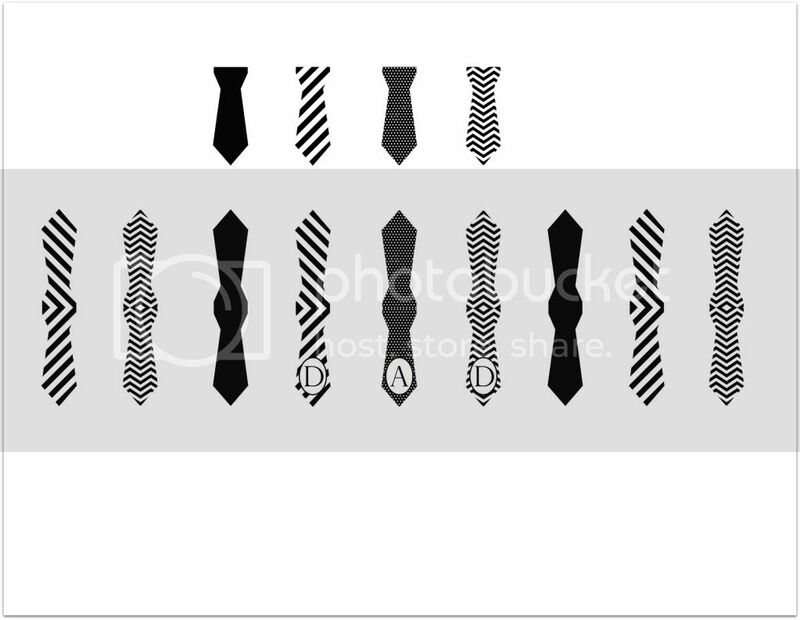 You can also use these ties individually if you would like to stick them in a muffin or some fruit. Just simply cut out a single tie and stick them onto a toothpick.